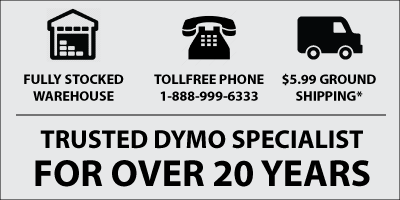 Dymo 1933086 LabelWriter Durable Labels 4-1/16" x 6-1/4"
Dymo LabelWriter Durable Labels are industrial-strength labels that are far more resilient and durable than the normal LabelWriter paper labels. Made from a special poly / plastic material, they can be used in a wide range of applications, from warehouses to laboratories, and can be adhered to all kinds of surfaces including glass and wood. (see the Datasheet link for more technical information).